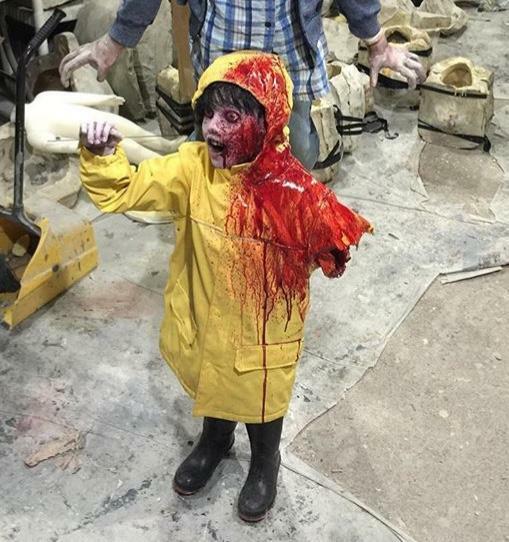 HauntCon 2019 is in the rearview mirror but we keep delivering the hits from the convention. If you haven’t figured out by now clowns are always a big deal on the site. After Pennywise took over the box office two years ago clowns are red hot and retailers have a hard time keeping up with demand. 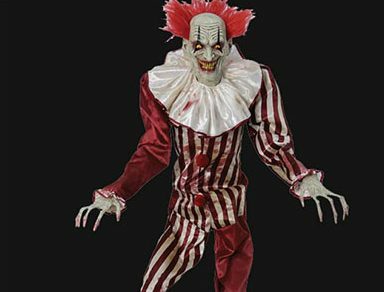 In 2017 Spirit Halloween ran out of Grimli the 7′ Evil Clown in early September. 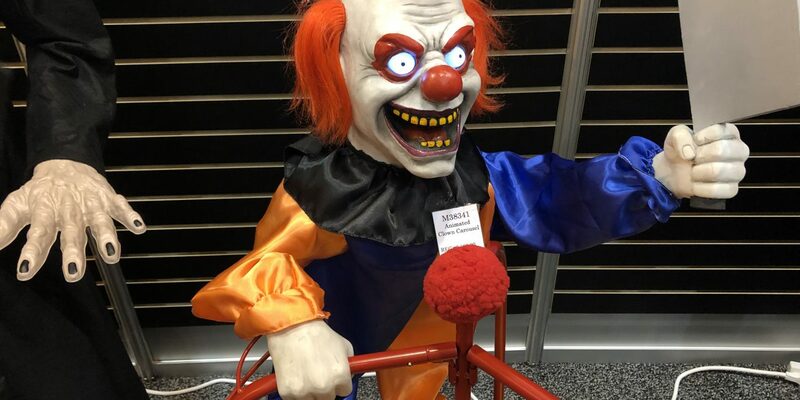 Last year the same thing happened with Sweet Dreams a similar large clown prop that was gone almost as quickly as it went on sale. As much as I love large clown props the really small clowns are equally as creepy. Morbid Enterprises has an animated Clown Carousel that I think will be pretty popular. It’s a fairly simple concept but the execution is spot on. A little clown rides a small red carousel as he laughs hysterically. How can you not love that? Check out the video from HauntCon. The Animated Clown Carousel will likely retail anywhere between $159-$189 depending on which retailer you buy the prop from. Each retailer runs on different profit margins so the price will vary by location or website. 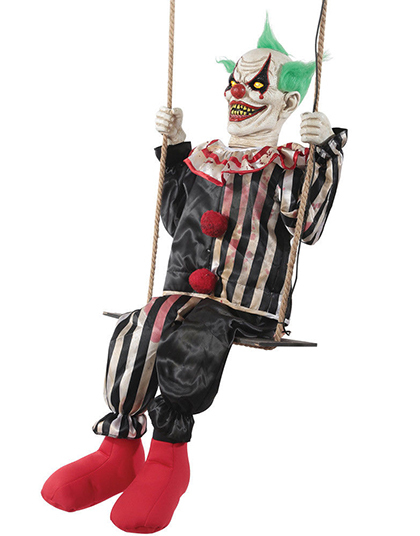 The Clown Carousel will go on sale sometime this summer and will ship in late August. Halloween is nine months away but with TransWorld coming up in March there is a lot of cool stuff coming up to keep you occupied until we start to see the new stuff go on sale this summer.